A-HOTEL.com - Luxury and cheap accommodation in Solnechnoye, Russia. Prices and hotel, apartment booking in Solnechnoye and surrounding. This indicative offer was derived from the most recently booked accommodation in Solnechnoye and sort by the price, from cheapest Solnechnoye accommodation to the most expensive hotels. To select accommodation by your preferences we recommend to choose from 2 accommodation offers in Solnechnoye in total. By entering the dates of your overnight stay in Solnechnoye and using the filter tools you can sort the best possible accommodation for you. The entered dates of your stay are crucial for the most accurate offer as it derives all the online information on pricing and availability of Solnechnoye accommodation. Then you can book the selected Solnechnoye lodging (hotels, apartments etc.) immediately. Located in the picturesque area of Solnechnoye, 100 metres from the Gulf of Finland, Staraya Melnitsa Holiday Park features spa and wellness centre, indoor and outdoor pools, a sauna and hammam. The rooms offer a sofa, TV, DVD player, hairdryer, fridge and electric kettle. Kapitan Hotel is situated in Solnechnoye, 1.5 km from the Finnish Bay. Situated just 50 metres from the Gulf of Finland coast, Repino Cronwell Park Hotel offers rooms with a flat-screen TV and free Wi-Fi. Facilities include an indoor pool. Dyuni Health Resort is situated in Sestroretsk in the Leningrad Region, 400 metres from the Gulf of Finland. Saint Petersburg is 29 km from the resort. This rustic hotel offers a peaceful forest location next to the Sestra River. It features its own golf club and country-style rooms with a Finnish sauna and kitchenette. Surrounded by a lush forest in Repino on the outskirts of Saint Petersburg, Hotel Baltiets features a number of amenities to ensure guests have a relaxing stay, including a spa and wellness centre, a sauna, an indoor pool, an on-site restaurant, and free WiFi in public areas. Private parking is available. Pansionat Burevestnik is located in Repino, a 15-minute walk from the Gulf of Finland. It has a games room with billiards and table tennis. Offering a range of spa and fitness facilities including a large indoor pool, a gym and badminton courts, this health club in Repino is just a 15-minute walk from the Baltic Sea Coast. The modern rooms at forRestMix Club sport&relax feature free WiFi and flat-screen TVs. Offering a tennis court and a terrace, Zolotoy Ruchey Mini-Hotel is located in Sestroretsk. Free WiFi access and private parking are available. Домик у реки для отпуска и активного отдыха is set in Sestroretsk. 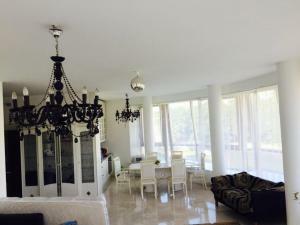 The property features river views and is 42 km from Saint Petersburg. Beautiful house on the river Bank is set in Sestroretsk and offers water sports facilities. The accommodation features free WiFi. Offering a grand façade and a summer terrace, this hotel in Repino is just 600 metres from the sandy beach. The modern spa complex offers 3 pools, a sauna and a fitness centre. Situated in Sestroretsk, Sestroretskiy Kurort provides free WiFi. Boasting a 24-hour front desk, this property also provides guests with a restaurant. This hotel is set in the village of Repino, on the bank of the Gulf of Finland. Free WiFi and a children’s playground are featured at Repinskaya Hotel. Boasting barbecue facilities, Townhouse Apartment features accommodation in Sestroretsk with access to free WiFi and garden views. Guests staying at this apartment have access to a fully equipped kitchen. The classy and elegant Skandinavia Country Club is located in the picturesque beach town of Sestroretsk, just a short distance from the shores of the Baltic Sea. This pretty hotel has been decorated and furnished in the style of a Russian country retreat. Set in Sestroretsk in the Leningrad region, 350 Приморское шоссе features a terrace and city views. Guests staying at this apartment have access to a fully equipped kitchen. Located on Lake Razliv in Sestroretsk, 50 metres from the beach, this hotel offers various outdoor activities. Free Wi-Fi and a 24-hour front desk are featured at Time Out Hotel. Boasting accommodation with a balcony, Апартаменты у озера в Сестрорецке is located in Sestroretsk. Free WiFi is provided. Situated in Sestroretsk, Apartment on Ulitsa Pervogo Maya 3 provides accommodation with a balcony and free WiFi. The property has lake and garden views.